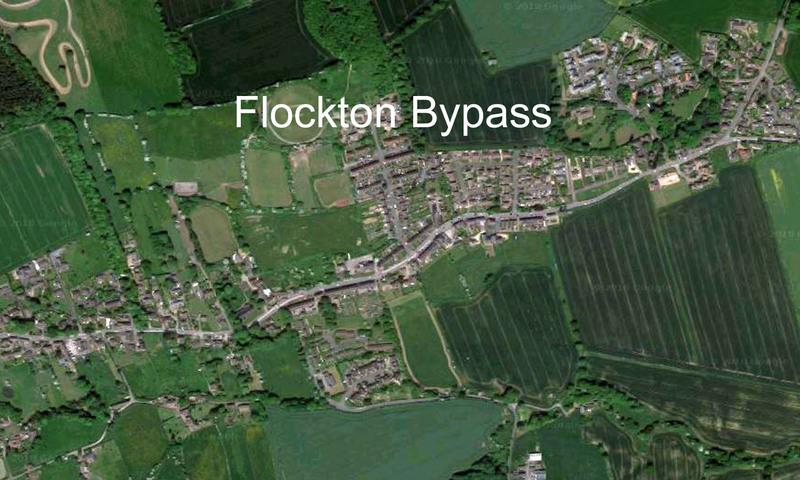 What we would like to do is encourage as many people as possible to comment on this proposal once it becomes available and to ask what the impact will be on B6118 and Flockton itself, as the Motion has committed them to considering this impact. (Please read full information, below the session dates). Plans to create £69m Cooper Bridge bypass to M62 finally revealed. This is helpful timing as the proposed improvements to the A62 are now coming forward for public consultation. Importantly on December 5th the proposals for changes at Cooper Bridge will be made public. These involved the creation of a new road from between Bradley Bar and the Railway Viaduct to connect up to the Brighouse M62 junction. It is stated that this has the potential to remove 1500 cars an hour at peak times from the three Nuns roundabout. Clearly this new road has the potential to make journeys from A62 to the M62 at Cooper Bridge easier and this therefore has the potential to attract more traffic to use this route and hence up the B6118 and through to Flockton to access the M1. What we would like to do is encourage as many people as possible to comment on this proposal once it becomes available and to ask what the impact will be on B6118 and Flockton itself, as the Motion has committed them to considering this impact. I would also like people to ask what assessment has been done of the potential impact on air quality and road safety. It is worth remembering that each individual is entitled to submit a comment, so I would encourage households where there is more than one adult that each individual submit a comment but ensure that they are not identical as otherwise they will be dismissed, just change around the order of the points made and change some of the words so each submission is counted individually. The aim is to get as many submissions as possible so that once more the need for a Bypass is self evident and keeps the issue live. There are also a number of public consultation sessions and I have copied the details of these below, clearly the ones at the WMC by Mama & Papas will be the nearest but if you are able to attend any of these and view the proposals and ask questions about the Flcokton impact, this again would be very helpful. Once the website link to the public consultation goes live on 5th December I will share this so people can log on and add comments.